One of our local radio stations 104.5 FM has a morning show where they invite guests to stop in. It was a bit early for me but fun to get back into a radio studio; took me back to my first job out of college, producing features for a public radio station. 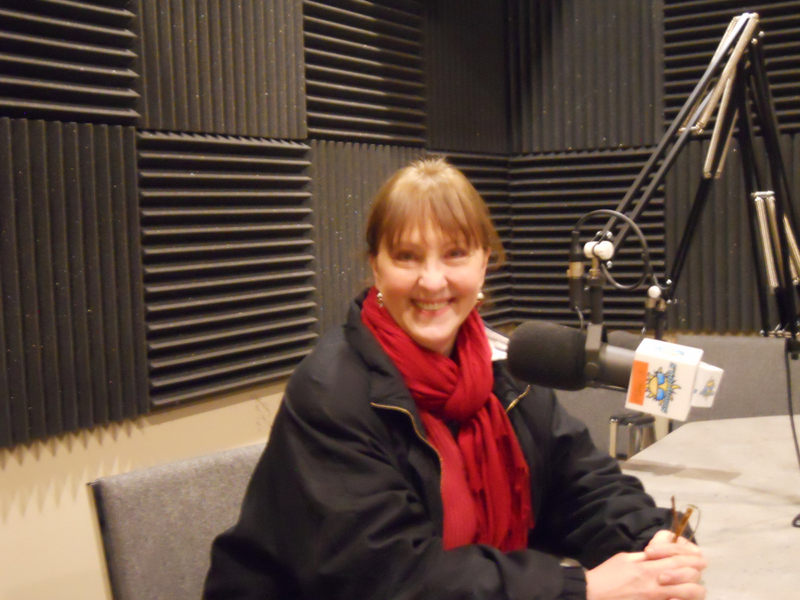 During half an hour February 11, 2015, we spent a few minutes between breaks talking beekeeping: why bees are important, how fascinating bees are, and how I started beekeeping, then continued the conversation on air. No, I'm not in a padded cell, more like a padded room! Once we were through, I was invited to "sign the wall" so I did. Although it was a little hard to reach, I managed to add a little honeybee friend. Thanks for the invitation, Sunny 104.5 FM!